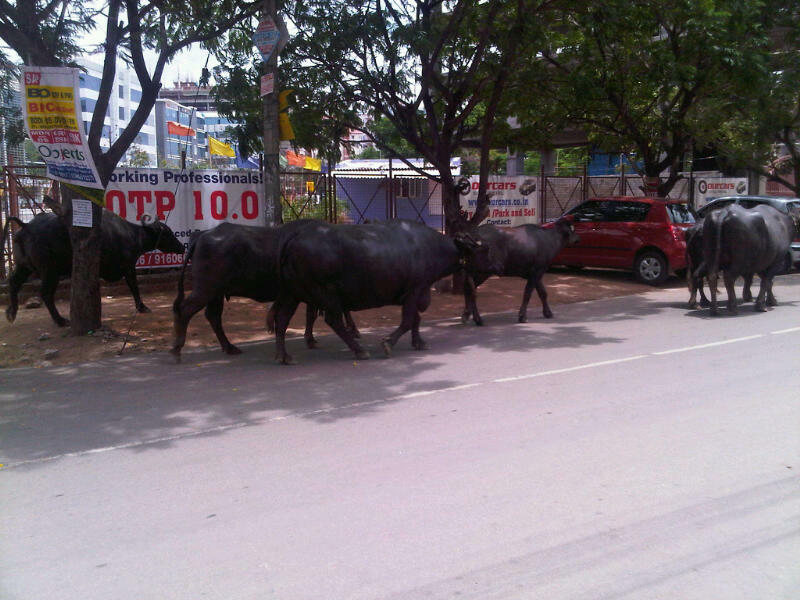 "At Home in Hyderabad": Hyderabad Traffic - - "It's a game of inches!" 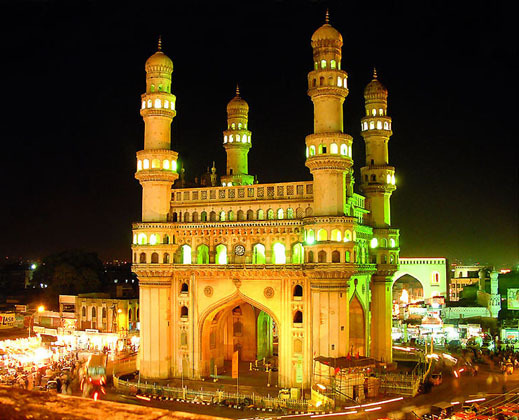 Some random thoughts on a Friday afternoon: I've been trying to be a good student of the unique cultural differences I have seen since we arrived here in Hyderabad. I think that the thing that strikes you first here is the traffic. It sort of gets "right up in your grill" from the minute you pull away from the curb at the airport! (Pun not intended!) Traffic here is so much different than at home in Los Angeles - even on the worst day you ever saw on the Harbor Freeway! It's hard to fathom what would happen if I brought home some of the Indian driving habits I have seen so far. I am guessing that one might immediately cause people in cars around you to begin screaming, yelling, flipping middle-fingers and, I am certain that the occasional shoulder-of-the-road fist-fight would break out! Perhaps even a random shooting or two! No lie! Yesterday we had our "test drive" (more like a test "RIDE"!) for the choosing of our new leased auto. We ended up deciding against the little Scorpio SUV (the suspension is far too stiff for these bumpy roads...you would feel every pebble... and the absolutely abusive speed-bumps and pot-holes here would cause you to lose most of the fillings out of your teeth!) We opted for the Skoda Laura Elegance 1.9 AT - made by the good people who brought you the VW and the Audi - but this baby is made in the Czech Republic! One outstanding feature....The Laura has ABS brakes for those "quick stops" that will be made for the occasional crossing water buffalo - or the sudden monsoon cloudburst! So....do you think I might be exaggerating a bit about the "water buffalo"?? Think again!! Check out this photo that I took with my Blackberry...directly in front of the AirTel showroom over in Jubilee Hills .... this was just about an hour ago!! 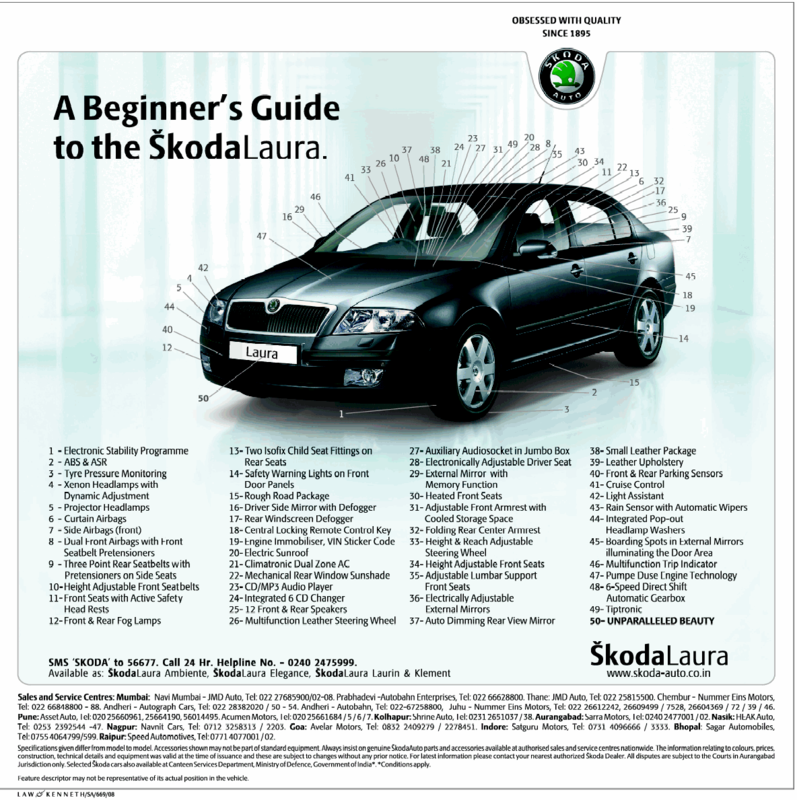 Besides the great braking attributes, the overall performance... and especially the ride - - the Skoda has 6 (six!!) air-bags. Now, this would not usually be a big selling-point for me, but here in Hyderabad...this little fact will give both of us great comfort! Now the traffic here is really hard to describe to an American. You know, of course, that they drive on the wrong-side of the road, "English Style: - and all of the cars have "right-hand drive". The natural tendency for the U.S. driver is to "pull to the right" when you get in trouble. Here...that little mistake will get you KILLED! I shall have to borrow another person's YouTube Video - CLICK HERE - just to give you some idea as to the sights and sounds we deal with here on a daily basis. The most important feature on any Indian vehicle?? THE HORN!! That's right! They honk them constantly here...not in anger, but as a sort-of a "Hey I'm here, get out of my way!! ", or, even more-likely: "Hey. I'm here - please don't merge over and kill me"!" N.B. - in the first few frames of this very amazing video - you will see a bronze statue at the center of a "semi-roundabout" (we Yanks call these "traffic circles")...this scene was shot literally only about 3 Km. from our house!! The way to get around in traffic here is pretty much exactly how this person crosses the road in the video. You just put the front-bumper of your car out into traffic as much as you dare...and the smaller vehicles (such as motorcycles and the little three-wheeled yellow "taxis") will swerve to avoid hitting you. For the pedestrian (who may be the bravest soul of all!) - it's as Amy's friend Annette Peterfy says, "It's just like crossing a river...you just wade-in and the water flows around you!" I've seen it a thousand times already ... and, yes, now I've even tried it!! It causes you a very tight sphincter at first, but I'll be darned...it works!! While driving a car...it's simply a matter of "survival of the bravest" - - he who hesitates will never move! Period. While you are hesitating, if there is any space to be found between vehicles at all, somebody from your left (or sometimes right!) will cut into the tiny space ... and you'll simply have to wait. Even in "normal" traffic, there are literally only mere inches between people's bumpers, fenders, quarter-panels, doors and side-mirrors. It's like a very intricate "dance of death".... and yet the "partners" never quite touch! And, please!! Don't even get me started on the motorcycles!! Some of these guys have what my Spanish-speaking friends would call "juevos grandes"!! "Juevos gigantes!!" To my dear old friend and former Pop Warner star-quarterback, Joe Gasca - - my brother - you'd have to learn a whole different set of skills to survive in this maze of cars, trucks and buses!! Harley's like yours might be bigger than most bikes in India...but the key here is "quickness off the line" and, most of all... maneuverability!! I have audibly gasped a few times watching some rider on a little Vespa scooter ("Helmets? We don' need no stinking helmets!!") cut in front of our car, make an abrupt right-hand swing directly in-between the front bumper of a huge bus going about 30 MPH and another car in front of them! You really need to trust that the other guy will stop before he squashes you like some sort of bug! 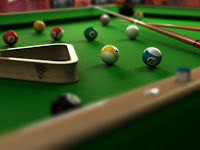 Another thing I've noticed is the similarity between the art of getting around in Hyderabadi traffic and the game of Billiards. If you have the room to take your shot....you better do it - and do it quickly. However...you better have the right angle to pull off your "shot"...or you will lose! 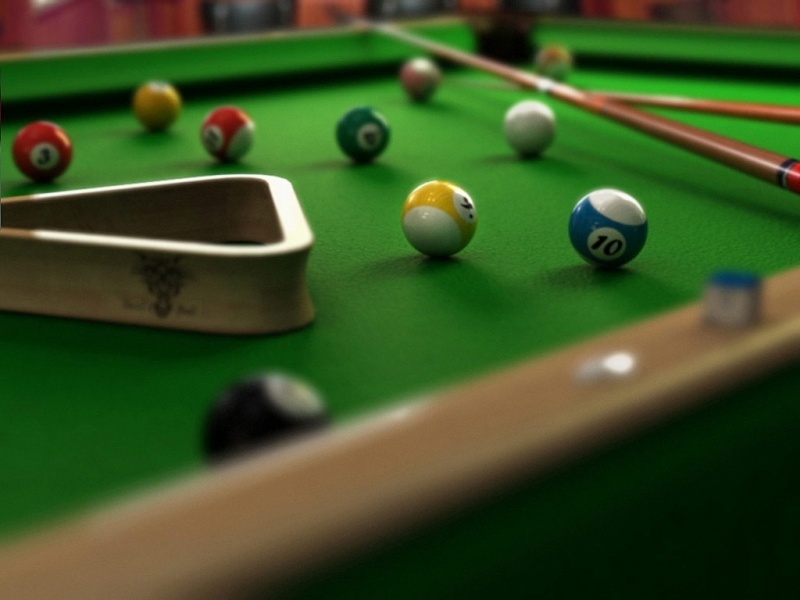 The difference is that in billiards, balls bounce off of other balls and hit the side rails. Remember, there are no curbs or sidewalks here...so - as many cars as WILL fit, DO fit!! Here, there is virtually no contact at all, much to my constant and utter disbelief!! Well....many of the motorcycles I've seen will actually put the rubber-tread of their front-wheel right up against and touching the bumper of the car in front of them, so as to leave no room whatsoever to get cut-off by somebody else! If you think you've got the angle on somebody, it's automatically your "right of way" and you just sort of "push your way in" to the flow of traffic. How different this is from L.A. traffic!! Yeah...I was right. This kind of driving WILL get you shot at home!! A special "shout out" to our Los Angeles Lakers for taking it to the hated Boston Celtics once again to become the 2010 NBA Champions !!! I must admit that it was a very strange feeling to be watching an NBA Finals Game Seven at 6:30 in the morning, as I was having my first cup of coffee! A very special "thank you" goes out to all my friends who watched the game "with me" over Skype, Logitech Video, Facebook and Twitter. Being this far from my home town ("Viva, Los Angeles!!") - it was just amazing to sit in my bedroom, half-a-world away...and "watch the game" with dear friends like Allan Littman in Portland, OR; Marion Jacobs in Napa, CA, Greg Chambers in Sacramento, CA;...and Mitchell Dean Lane from Verdugo Hills High School. Thanks again guys! Can anybody say "REPEAT"?? ?